Prisma Raises $4.5M to Build the GraphQL Data Layer for All Databases — News from the company behind Prisma, an open-source GraphQL layer that essentially brings GraphQL support to any backend database. It’ll be interesting to see what happens when/if other databases bring such functionality in-house. TimescaleDB vs MongoDB for Storing Time-Series Data — TimescaleDB is a Postgres extension focused on time-series data, so it may come as no surprise it’s faster at the task. 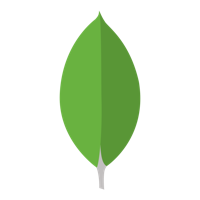 Free Database Migration and Upgrading Planner — Running an older version of MongoDB? We understand the upgrade process can seem daunting at first, so we've put together this template to help you plan out your upgrade process. Big Data File Formats Demystified — An explanation of three optimized file formats well suited to Hadoop for long-term efficient data processing: Optimized Row Columnar (ORC), Avro, and Parquet. Redis vs. Memcached: In-Memory Data Storage Systems — Redis and memcached are both popular in-memory data storage systems, though Redis brings a lot more to the table data structure wise. Selecting all Columns Except One in PostgreSQL — Google’s BigQuery has EXCEPT and REPLACE keywords for removing or replacing column results mid-query. Here’s a look at emulating such functionality on Postgres. Algorithms Behind Modern Storage Systems — One for the more CS-oriented among you with a close look at two storage system design approaches used in a majority of modern databases. 'I Wrote My First Stored Procedure Today, But I'm Not Sure How to Feel About It..' — An interesting discussion about using stored procedures in a way that doesn’t tread on the toes of other team members. MemSQL Gains Traction and New Investors — MemSQL has announced a $30 million funding round led by the former Google Ventures. Oracle Buys DataScience.com — DataScience.com is essentially an enterprise-focused platform of data science tools. Monitoring MySQL with NGINX Amplify — NGINX Amplify is a monitoring tool that now has a MySQL plugin. Complete This Survey to Influence the Future of Tools & Tech — Get your report, discover your sci-fi character and enter a draw for tech prizes, including an iPhone X. ▶ Azure SQL and SQL Server Sessions from Build 2018 — Microsoft’s Build 2018 conference happened last week and here are all the Azure SQL and SQL Server talks in one place.